The 33rd World Conference of the International Society for Music Education ( ISME) will be held in Baku. 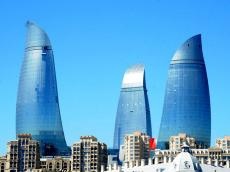 The conference will take place in the Heydar Aliyev Palace, the Baku Musical Academy and the Azerbaijan National Conservatory on July 15-20, Trend Life reported. More than 500 participants will take part in the forum. The International Society for Music Education (ISME) believes that lived experiences of music, in all their many aspects, are a vital part of the life of all people. ISME's mission is to enhance those experiences by building and maintaining a worldwide community of music educators characterized by mutual respect and support; fostering global intercultural understanding and cooperation among the world's music educators; and promoting music education for people of all ages in all relevant situations throughout the world. The International Society for Music Education was formed at a conference convened by UNESCO in 1953 'to stimulate music education as an integral part of general education'. This has been ISME's main concern over the past decades and continues to be our most important source of motivation. Since 1953, ISME has represented an international, interdisciplinary, intercultural network of professionals who strive to understand and promote music learning across the lifespan. Members from over 80 countries across the world share a commitment to culture, education, conservation and the durable development of our cultural heritage, and to evidence-based policy and practice. In 2015 a new Constitution, Bylaws and Policy Review Working Committee was formed to consider how ISME needs to evolve to ensure that it can better respond to the needs of its members and the wider music education community globally. The work of this Committee will be open and consultative throughout. In 2003 ISME celebrated its 50th anniversary. To mark the occasion the Society published "Toward A Global Community - The International Society for Music Education 1953 - 2003". This can be downloaded from this page. As a result of the country's great attention to culture, the Azerbaijani mugham (2008), ashug art (2009), the art of performance on tar (2012) are included in the Representative List of the Intangible Cultural Heritage of Humanity. Every year the International Music Festival named after Uzeyir Hajibeyli, Baku International Jazz Festival, the Gabala International Music Festival and other significant events are held to ensure the integration of Azerbaijani music into the world community in the country that hosts many international cultural events. Along with this, the international song contest "Eurovision-2012" organized in Baku contributed to the increase of interest from the international music audience to the country.